Today Duder let us know on twitter that there is new Dirty Dozen items! 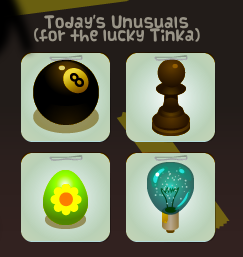 New TinkaTolli Bag & Minor Chat Log Updates! TinkaPad of the Week – Jain! TinkaFair Page on the Official Site!